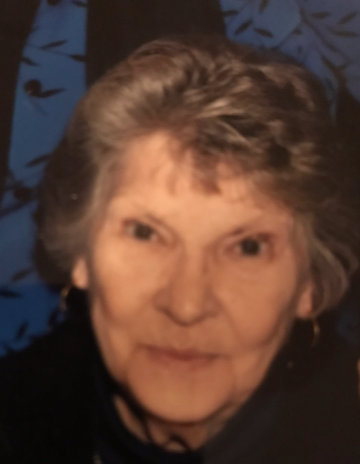 Ms. Peggy Sue Waddell Thomas, 76, of Pilot Mountain passed away Wednesday, February 6, 2019 at Glenn A Kiser Hospice House in Salisbury. She was born in Surry County on July 1, 1942 to the late Dewey and Bertie Jane Easter Waddell. Ms. Thomas retired after many years of employment from Cook Medical. She is survived by daughters and sons-in-law, Melissa and Bill Lilly, Karen and David Tucker; a son and daughter-in-law, Greg and Luann Thomas; grandchildren, Damon Lilly, Ryan Lilly, Austin Lilly, Bradin Lilly, Nathan and Hannah Thomas, Matt Thomas and Beth Peters, Nick and Amber Thomas, Derek and Katie McCardle, Whitney and Frankie Freeman, Daniel Tucker; great grandchildren, Bozden Thomas, Ellison Thomas, Kaydence Freeman, Gunner McCardle; sister and brother-in-law, Brenda and Larry Goad. In addition to her parents, Ms. Thomas was preceded in death by a sister, Shirley Pell; brothers, Jackie Waddell, Bernie Waddell, Grady Waddell, and Robert Waddell. A funeral service will be held Monday, 2:00 PM, February 11, 2019 at Moody Funeral Home Chapel with Father John Putman officiating. Burial will follow in Skyline Memory Gardens. The family will receive friends Monday from 1:00 until 2:00 PM at Moody Funeral Home in Mt. Airy. Online condolences may be made at www.moodyfuneralservices.com.